A school's assistant head described in court on Monday how a man entered her school and "rained punches" on a boy who had allegedly been involved in a brawl with another pupil. The assistant head tried to stop the man but was thrown off her feet and suffered a fracture in her lower back. The incident broke out in Pembroke school last week. 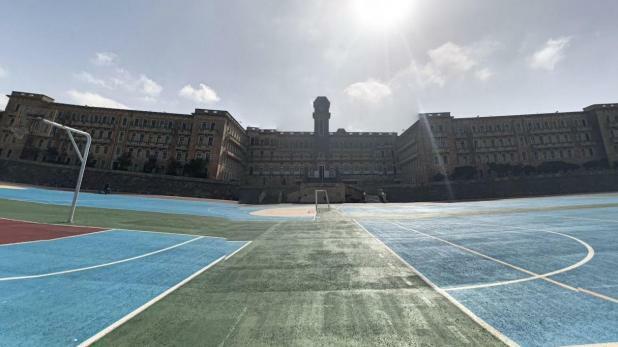 Feliciano and Alexander Camilleri, the father and uncle of one of the pupils have been accused of assaulting members of staff and a 15-year-old boy. The tall, 15-year-old Arab boy himself was warned by a magistrate to seek legal advice before testifying since he is likely to also face charges over his alleged attack upon a fellow-student, the son of one of the accused. A number of school officials took the witness stand to recount the events of the day. One of the school’s assistant heads said she heard shouting outside her office. Suddenly, the door banged open and a number of people spilled inside including the co-accused. “I saw Alexander Camilleri hold a person in a headlock under his right arm. I realised it was a student because I spotted the orange uniform,” the woman explained, adding that all the while, the man was raining blows with his left fist upon the student held tightly under his right arm. “You don’t touch my boy,” she heard the man telling the boy under his grip. As the teacher moved forward to break up the two, the man suddenly grabbed a heavy-duty puncher and swung it round, striking a male learning support assistant who happened to be standing right behind him. The assistant head went on to explain how the man lifted her off her feet, causing her to fall backwards landing on the floor in a heap. He returned to her feet, attempting to calm down the angry man who, however, would have none of it. “Leave me alone. X’nikkalma nikkalma,” he replied. “They can call me a criminal and a racist. I hate Arabs,” he shouted while his brother, Feliciano, guided his 13-year old son away from the scene. The woman said she suffered a fractured bone in her lower spine and a bump on the head, as certified under medical examination later in hospital. The learning support assistant who had been knocked on the forehead by the puncher-wielding uncle, recalled how he had first spotted the two men entering the school close to the main staircase. “What are you doing here?” he had asked. “Something happened to our boy,” was the reply, prompting the school official to lead the men to an assistant head’s office at first floor. A while later, shouts from the direction of the clerks’ office could be heard. Looking inside, he saw an assistant head and a student on the floor. As he moved forward to grab the metal puncher out of the man’s hand, he was hit on the forehead and could not recall much else because "I was in a state of shock.” He recalled blanking out and suffering headaches which kept him away from work for the rest of the week. Under cross-examination, the LSA said he had observed the Arab boy saying something to the two men outside the clerks’ office. The boy had also made a gesture as though to take off his jacket. “Was he going to attack the parent?” lawyer Franco Debono asked. The LSA explained: “It could be. From what I saw yes. They didn’t start fighting. I was looking from a distance,” the teacher explained, adding he had been walking away when loud shouting from the office had brought him rushing back. Asked by lawyer Arthur Azzopardi to confirm how he had been hit by the puncher, the witness said the man’s action had not been intentional. Another assistant head explained how towards the end of school break, close to 11am, he had been approached by the health and safety teacher with the names of two pupils just involved in a fight. One boy, aged 13, was being treated medically after being punched in the face by an older student whom the witness called out from a Physics class, taking him to clerks’ office to await the arrival of his mother who had been alerted over the punch up. In spite of efforts by school officials and the third man to calm down the evidently angry men, the matter soon escalated as the Arab student made as though to remove his jacket. “He did not seem scared. Rather than stand back, he stood his ground,” the witness explained. It was then that Alexander Camilleri allegedly rushed towards the defiant boy, seizing him in a headlock, with both of them tumbling to the ground, while the third man did his best to calm matters. School staff managed to direct the boy into a kitchenette adjoining the office and close the door to distance him from the uncle and father. A clerk recalled how she had phoned 112 for help, giving directions to the person on the other side of the line, when she suddenly found herself facing the angry man and trying to wrestle the metal puncher from his grip. Feliciano Camilleri was granted bail against a deposit of €2,000 and a personal guarantee of €3,000, while Alexander Camilleri was bailed against a deposit of €2,500 and personal guarantee of €2,500. “Don’t make matters worse,” was the court’s final warning. Lawyers Franco Debono, Arthur Azzopardi, Alfred Abela and Rene Darmanin were defence counsel. Lawyer Joseph Giglio appeared parte civile for the injured assistant head.